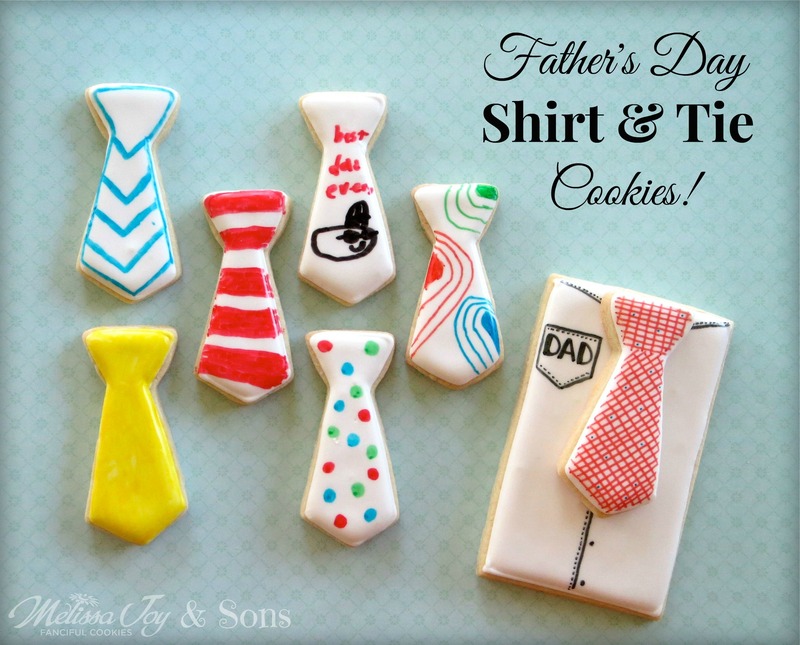 Nothing like a little last minute idea for Father’s Day cookies! If it’s a bit too late to create your own, save these guys for next year (you can pin it here! 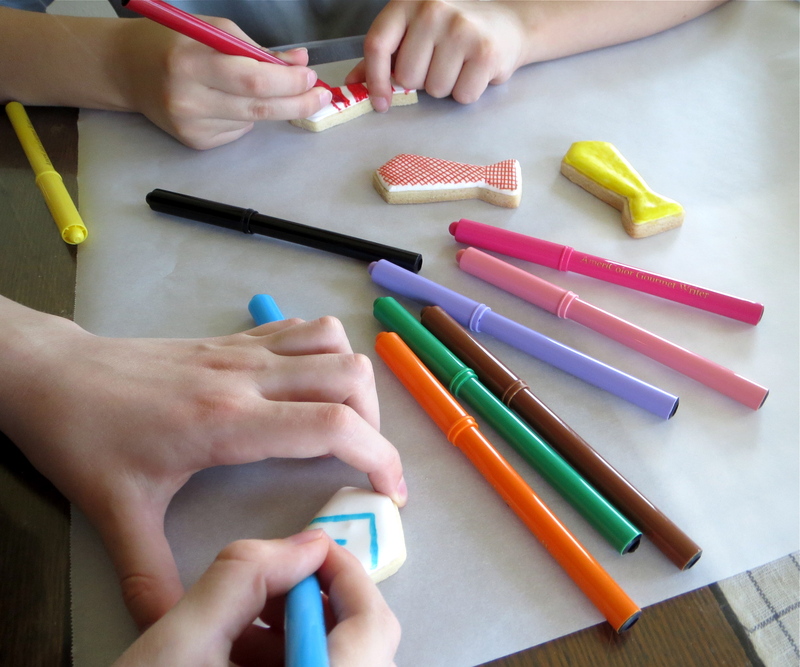 )….or make a paper version. Cards like these would be just as cute, but not quite as delicious. 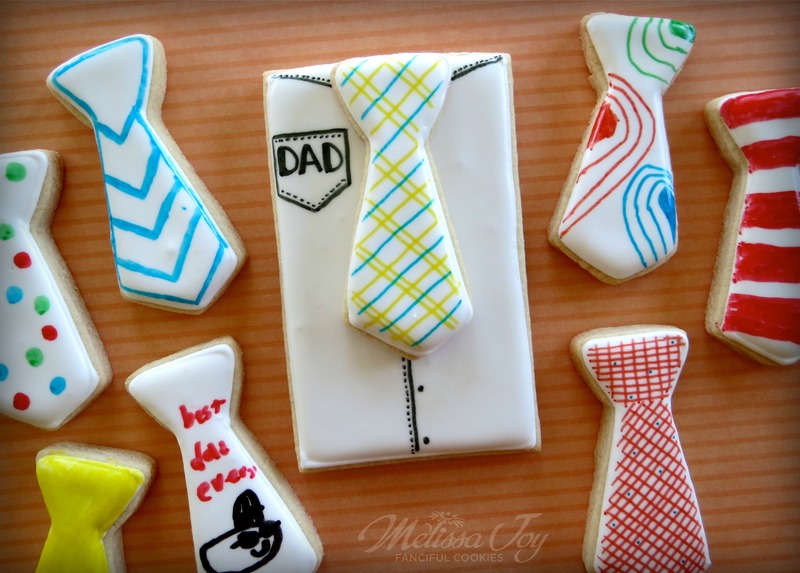 This cookie concept came from another Father’s Day cookie design, these shirt and tie cookies, I made a while back. Because I still love them, I wanted to give ’em an update and get the kids involved. A bit of leftover dough this week was all I needed to make a nice set for good ol’ Dad. 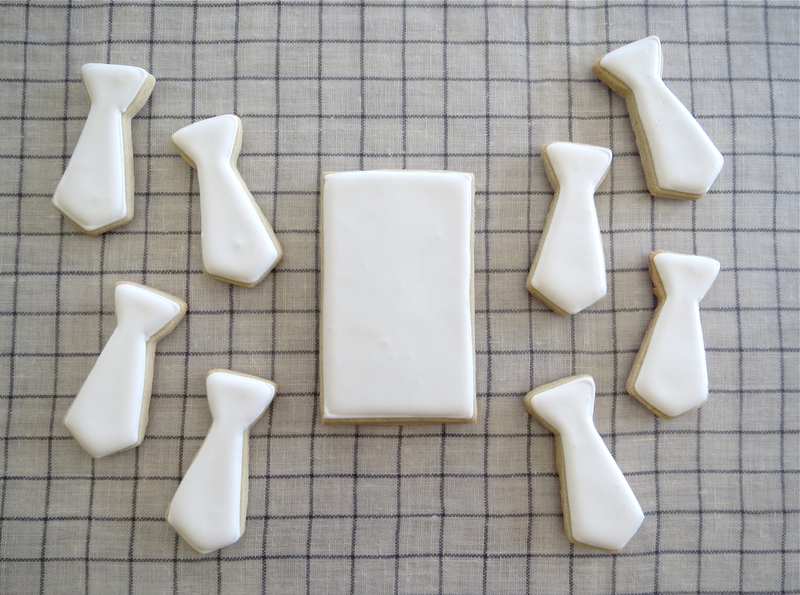 For this new shirt and necktie cookie version, I used a small, 3 x 1 inch tie cutter and a large, 3 x 4.5 inch rectangle cutter. Once the cookies were baked and cooled, I flooded them with white royal icing and let them dry overnight. Depending on how many kids you’ve got and how into crafting they are, this next decorating step can take a total of about 5 minutes. 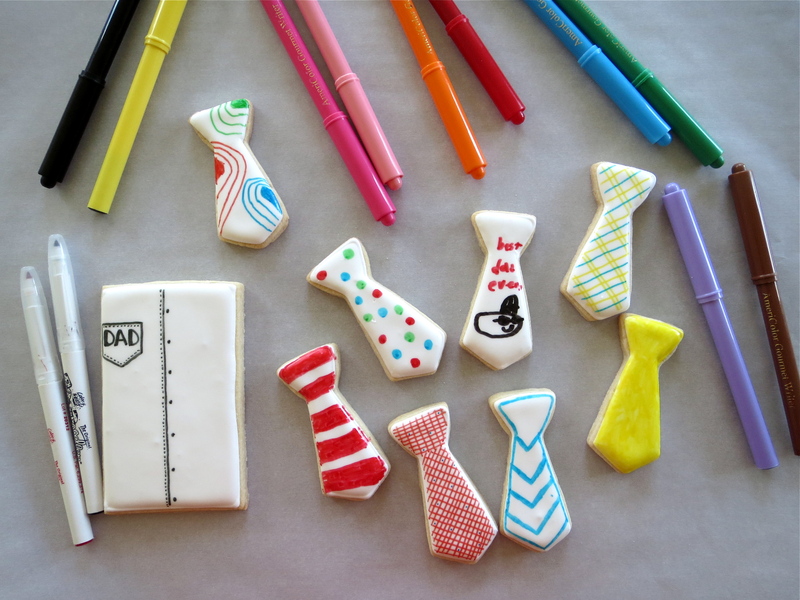 Hand them bunch of food markers and let them color the tiny tie cookies to their heart’s content. The number of shirt and ties you make is up to you. Arrange them as you see fit and they are ready for giving! 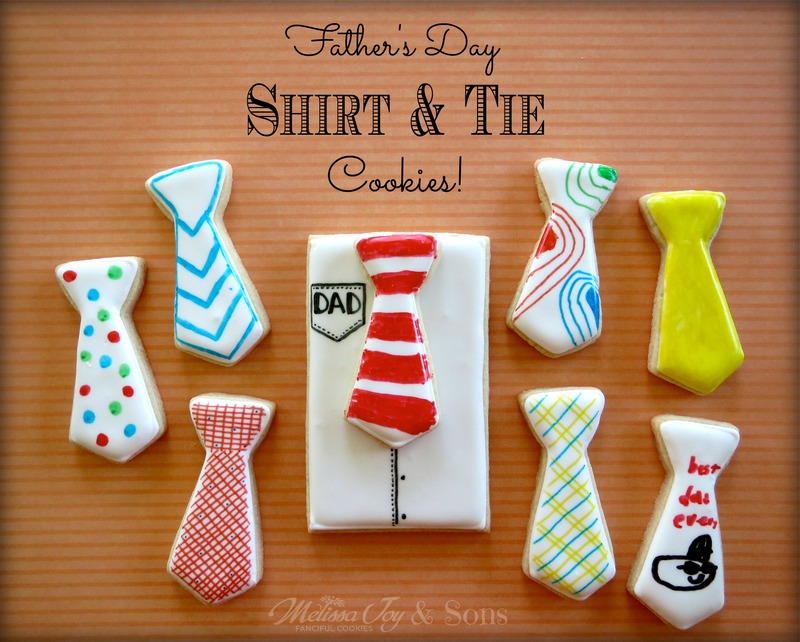 This entry was posted in Cookies for Kids, Father's Day Cookies, How To Do... and tagged father's day, Father's Day crafts for kids, tie cookies. Bookmark the permalink. Adorable! Now back to playing “outside”!